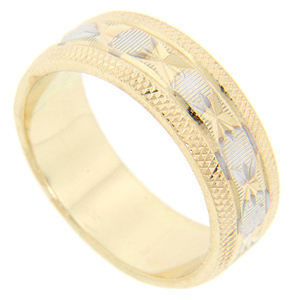 Crafted of 14K yellow gold, this retro-modern wedding band features geometric texturing and white gold accents. The vintage ring measures 5.7mm in width. Circa: 1940. Size: 5. Cannot be resized.